Our family has always moved to its own beat. Curious and creative with an independent streak to match, we love bringing people together—around good friends, great music, and local food. So it’s no wonder three generations of Keseys have made this our lives’ mission. After nearly 60 years, there are bound to be some great stories to tell. From selling glass jars to our neighbors to nationwide distribution, take a walk down memory lane with us. Fresh out of college and newly wed, Chuck and Sue Kesey opened Springfield Creamery near their home in Oregon’s Willamette Valley. 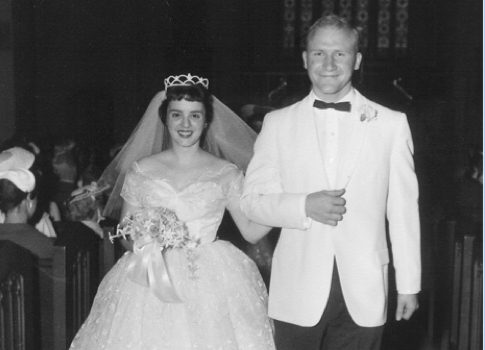 The pair was a great match from the start—in marriage and business! 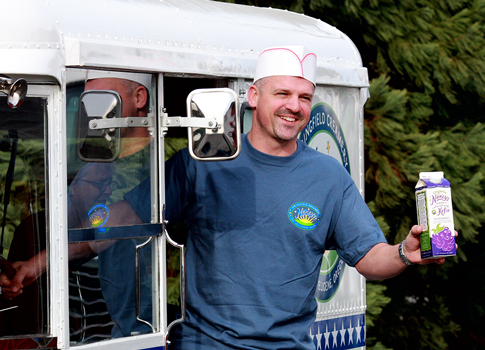 Chuck majored in dairy science at Oregon State University and had always been a creamery kid (his father, Fred, was longtime manager of the Eugene Farmers Creamery). Sue’s degree in secretarial sciences meant she’d studied everything it took to handle the numbers, from accounting to planning to economics. 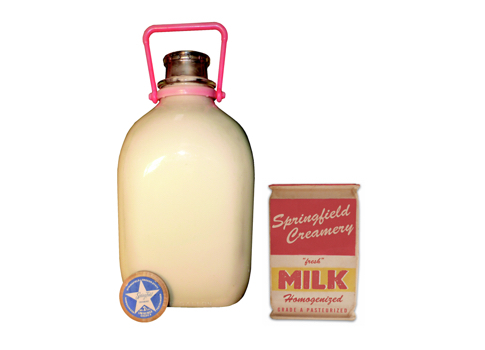 For the first decade, Springfield Creamery focused on milk—bottling glass jugs for home delivery while supplying local schools for lunches each day. 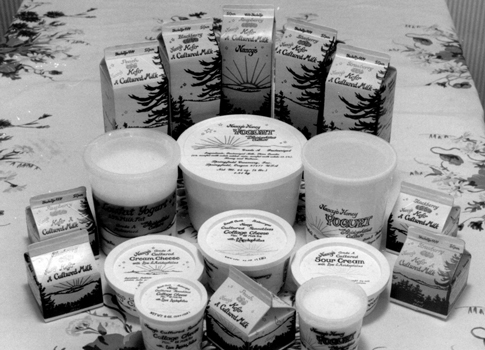 All the while, Chuck and Sue kicked around the idea of a specialty product to help buoy the creamery financially. The timing felt right for something new. 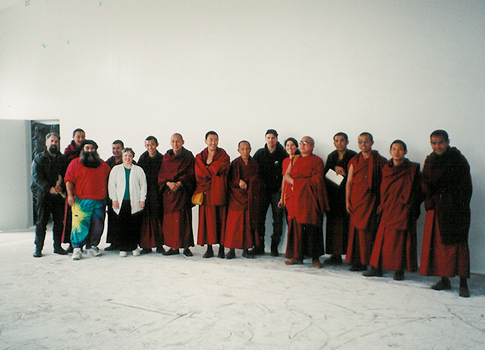 A younger generation continued to protest the Vietnam War, and the counterculture flourished. People wanted more mindful ways to do just about everything, and the natural foods movement began to bloom. 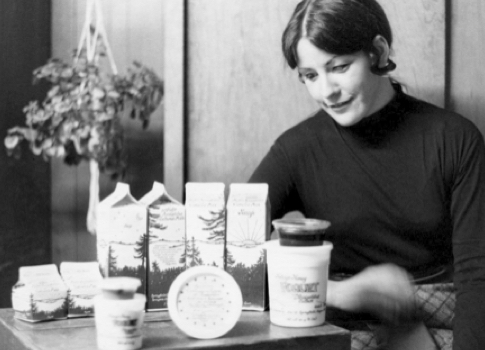 When Chuck, Sue, and Nancy sold that first jar of honey-sweetened yogurt, it might not have felt historic. 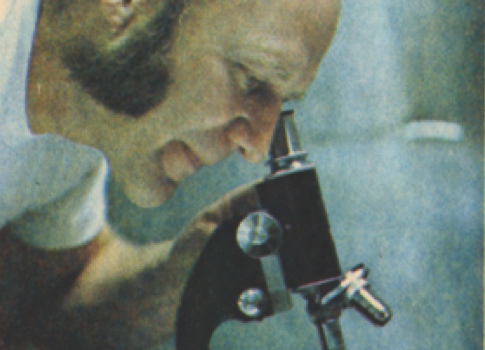 But with Chuck’s addition of “Acidophilus”—the beneficial bacteria he’d been fascinated by while studying dairy science in school—Nancy’s became the first yogurt sold in the United States to contain live probiotics. People liked the taste, and customers calling to place orders were greeted with a friendly voice: “Springfield Creamery, this is Nancy.” It wasn’t long before folks just started asking for “Nancy’s Yogurt.” And the name stuck. 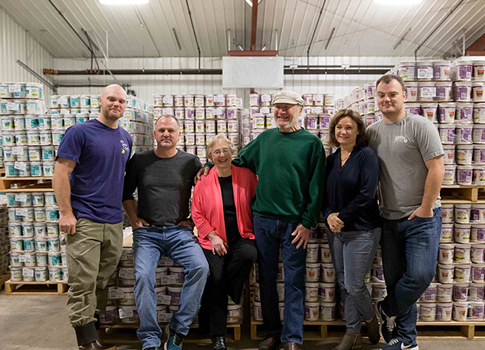 As local demand for Nancy’s Yogurt and other natural foods began to grow, the Keseys decided to open a shop next door to the Creamery. The “Health Food and Pool Store” soon became a one-of-a-kind gathering place in downtown Springfield—where else could you pick up groceries and shoot pool on an antique table suspended 10+ feet in the air? 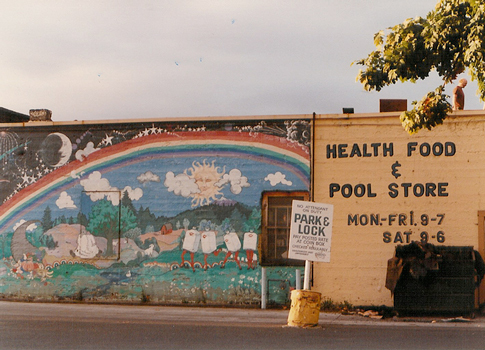 For 17 years until the store closed in 1987, a colorful mural greeted visitors looking for bulk foods, herbs, grains, and the freshest Nancy’s Yogurt—with a side of billiards! With the business struggling financially, the Keseys knew they’d need to get creative. 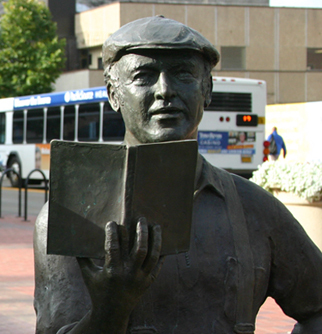 So Chuck hopped in his van and drove to Marin County, California, to ask some old friends of his brother, author Ken Kesey, if they’d play a concert and help keep Springfield Creamery afloat. The Grateful Dead agreed, and 20,000 Deadheads descended on tiny Veneta, Oregon for the show (forever memorialized in the film Sunshine Daydream). Posters were hand-drawn, and tickets—$3 in advance or $3.50 at the gate—were printed on Nancy’s Yogurt labels. The event raised $12,000, and Springfield Creamery survived. 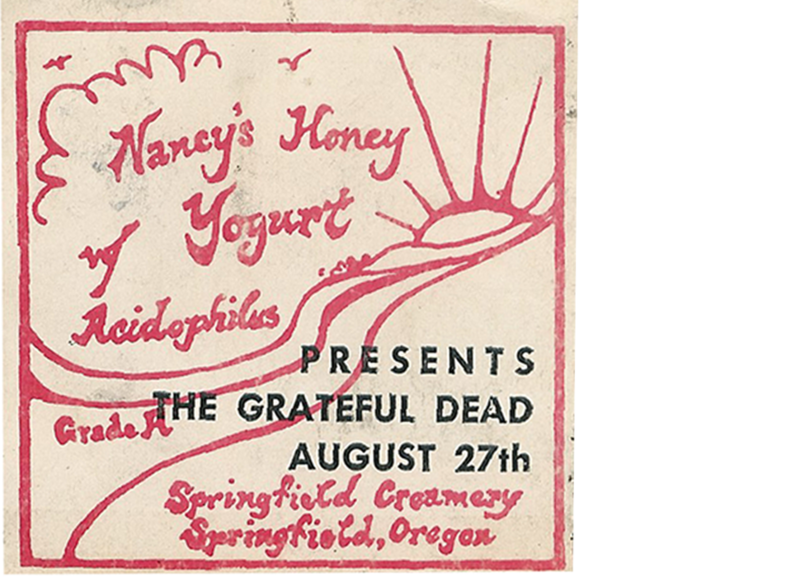 Word about Nancy’s Yogurt began spreading outside of Oregon, and Springfield Creamery yet again crossed paths with music lore. Soon-to-be rock star Huey Lewis became one of Nancy’s first distributors in the San Francisco market, driving ice-packed U-Hauls between Oregon and the Bay Area just a few years before he and The News were stringing together pop hits. Rumor has it, Huey wrote Workin’ for a Livin’ on the road with a van full of Nancy’s Yogurt in his rearview! Downtown Springfield served the Creamery well for nearly 30 years, but after steady growth, a bit more elbowroom was needed. 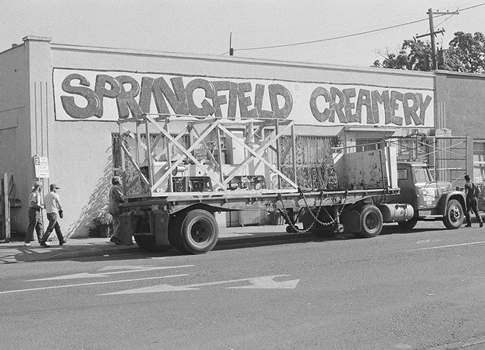 Springfield Creamery maintained its original name but moved a new location in nearby Eugene, Oregon—a larger facility with updated equipment and production abilities. Naturally, Chuck immediately went to work hand-planting more than 200 seedlings around the perimeter of the 10-acre property. Three decades later, those Evergreen trees stand tall, surrounding Springfield Creamery with iconic Northwest beauty and a little shade now and then. An electrical fire struck Springfield Creamery one night in late May, destroying a major portion of the building and immediately halting production. 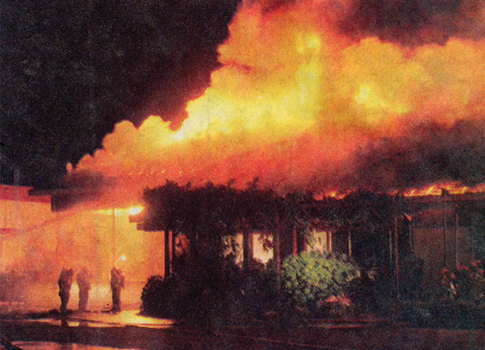 It was a devastating moment, but the dark clouds didn’t linger long: Almost immediately, family, neighbors, longtime customers, and even competitors rushed in with any help they could offer. Amazingly, Nancy’s was back in partial production just four weeks later. And out of the fire’s ashes arose a larger, more efficient Springfield Creamery than ever before—thanks to a little help from our friends. 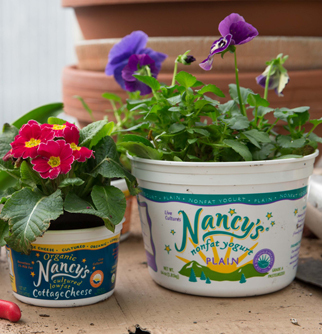 Nancy’s began distributing to all 50 states, thanks to loyal customers far and wide! More and more were on the move, off to college back east, taking new jobs down south—even retiring to sunny Florida. That meant requests coming in from Nancy’s fans looking for their favorite Yogurt, Cottage Cheese, and Kefir in their new hometowns across the country. Some refused to cross the Mississippi without us! And we were happy to join them. 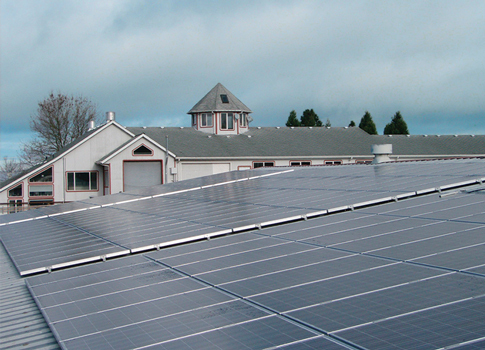 Springfield Creamery took a serious step toward sustainability by completing a 63.5 kW solar electric system atop its roof. Now when the sun shines in our little corner of Oregon (It happens more often than you think! ), it creates power used directly in the plant each day to make Nancy’s products. Since installing the solar array, it’s generated the energy equivalent of 209 tons of carbon (and counting! Click here to track our progress!). Springfield Creamery marked its 50th Anniversary, and there’s no better way to celebrate such an occasion than with great friends, food, and music. 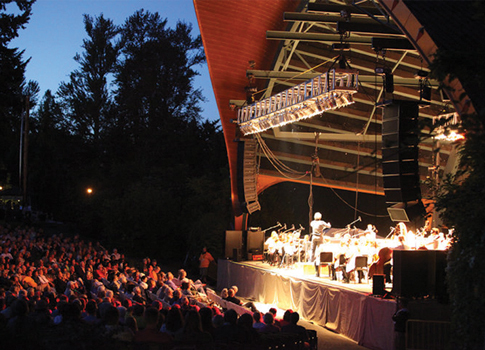 As a “thank you” to the community that made it all possible, the Kesey family held a free outdoor concert with the Eugene Symphony at Cuthbert Amphitheater. More than 5,000 folks (and a few circling osprey) enjoyed Tchaikovsky’s 1812 Overture and celebrated local culture—in more ways than one! To support our friends at The Rex Foundation, a non-profit started by The Grateful Dead, the Kesey family decided to commemorate when the legendary jam band backed up Springfield Creamery with a benefit concert. 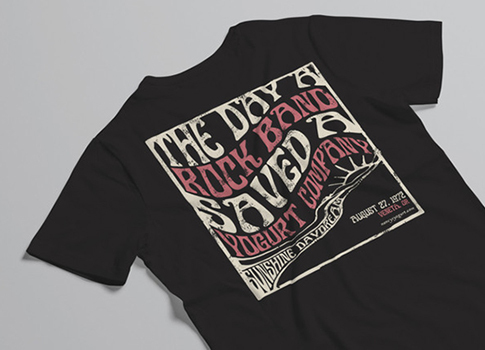 So we created a T-shirt any roadie would appreciate, with the original ticket stub up front (printed on Nancy’s Yogurt labels, of course) and a psychedelic design on the back, marking The Day a Rock Band Saved a Yogurt Company: August 27, 1972. Get yours here and help support a great cause! After 44 wonderful years, Nancy retired—though some might call it “semi-retirement” at best! 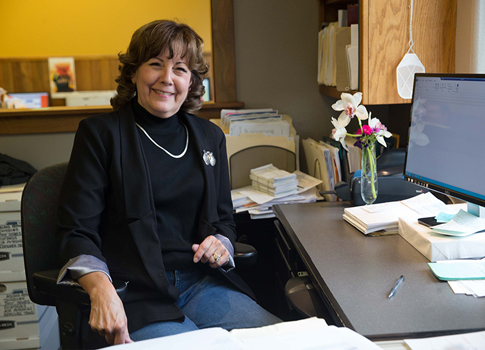 Our longtime bookkeeper, friend, and brand namesake still serves on the board of the International Probiotics Association and continues to work on special projects with Springfield Creamery. We feel lucky to still have her around the office now and then, and we can never thank Nancy enough for the influence, dedication, and friendship she’s given our family—her journey has been truly remarkable! With the help of nearly 60 dedicated employees, Springfield Creamery makes 100+ cultured dairy and soy products. As another decade approaches, the Kesey family still works together across the business—and it’s truly a team effort! Sue steers the ship as general manager and CFO, while Chuck oversees yogurt making and nightly taste testing. With the second generation (Sheryl and Kit) and now third (Blake and Taylor) on board, the Kesey family is still having fun, making good food with their friends—just as they set out to do from the start.